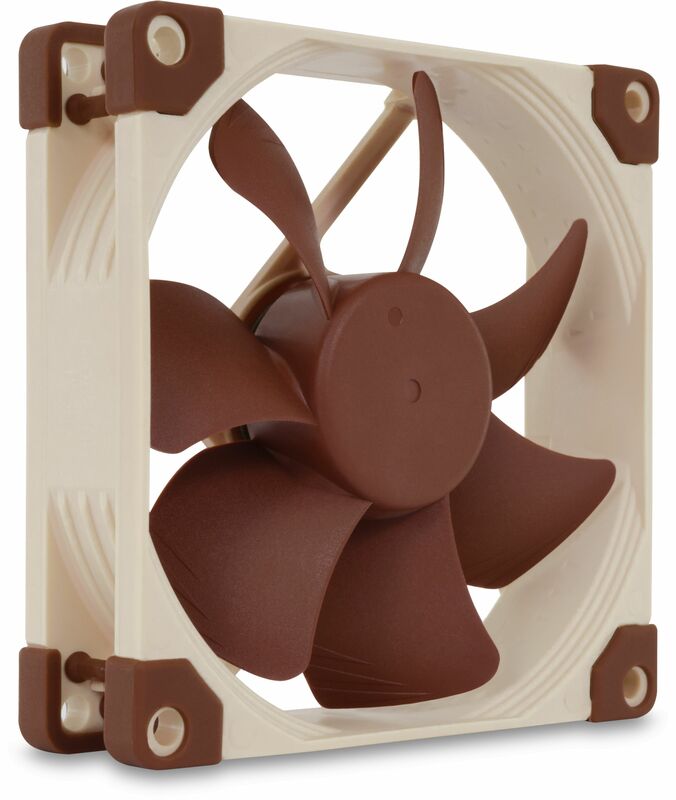 Noctua's NF-A9 92mm fans have been updated to feature Noctua's latest innovative technology. The NF-A9 offers automatic fan speed control, an OmniJoin adaptor set and 6-year manufacturer’s warranty. The NF-A9 5V PWM is a PWM-enabled 5V variant of Noctua' award-winning, premium-quality NF-A9 92mm fan. Featuring an AAO (Advanced Acoustic Optimisation) standard frame and sophisticated aerodynamic design measures such as Flow Acceleration Channels, the NF-A9 is renowned for its superior performance and outstanding quietness of operation. Smooth Commutation Drive technology and Noctua's reference class SSO2 bearing guarantee superb running smoothness and excellent long-term stability. Topped off with the included USB power adaptor cable, OmniJoin adaptor set and 6-year manufacturer's warranty, the NF-A9 5V PWM is a premium choice for demanding 5V applications that require PWM control. PLEASE NOTE: Being a 5V fan, the NF-A9 5V cannot be run at 12V and will be damaged when used with typical 12V power sources such as PC motherboard fan headers. 5V PWM fans are used in various devices and applications. With the included USB power adaptor cable and OmniJoin adaptor set, the NF-A9 5V PWM is a proven premium solution that gives you full flexibility both for replacing existing 5V PWM fans and for new, custom applications that require PWM speed control. Having received more than 100 awards and recommendations from the international press, Noctua's NF-A9 has become a proven premium choice for 92mm cooling needs. Its renowned efficiency has convinced tens of thousands of customers all over the world. Supporting fully automatic PWM speed control, the NF-A9 5V PWM uses Noctua's novel, custom-designed NE-FD3 PWM IC that integrates Smooth Commutation Drive (SCD) technology. By providing smoother torque impulses, SCD suppresses PWM switching noises and thus makes the fan quieter at low speeds. Many devices featuring 5V fans use proprietary fan headers, so the NF-A9 5V PWM comes with Noctua's OmniJoin adaptor set. Just cut the original fan's cable, fix it to the adaptor using the supplied 3M Scotchlok connectors and you can plug the NF-A9 5V PWM to proprietary fan headers! Noctua fans are renowned for their impeccable quality and outstanding longevity. Like all Noctua fans, the NF-A9 features an MTTF of more than 150.000 hours rating and comes with a full 6-year manufacturer's warranty.